DR. JIM HENRY, former Senior Minister of the First Baptist Church of Orlando, Florida, for 28 years, is one of the most respected Christian leaders of our day. Since his retirement from First Orlando, he continues to speak for conferences and conventions throughout the world. 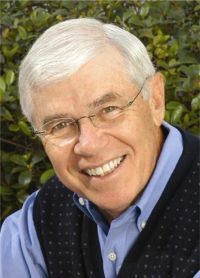 He has written several books, served on numerous boards and commissions, and completed two terms as President of the Southern Baptist Convention. Dr. Henry is eminently qualified in the area of deacon training. He pioneered video training of deacons by teaching the first deacon training course ever produced on videotape 20 years ago. Dr. Henry is a graduate of Georgetown College and New Orleans Baptist Theological Seminary. He and his wife, Jeanette, have three grown children.